Nursing home falls can cause tragic injuries to your loved one, including broken limbs, severe abrasions, concussions, permanent mental damage, permanent disabilities and even death. 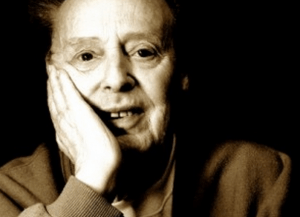 The emotional turmoil that a vulnerable resident can experience after a nursing home fall includes depression, feelings of isolation, loneliness, anxiety, inability to communicate, trauma and other psychological illnesses. Nursing homes are liable in many cases for fall-related injuries, and it is important for you to stand up for the legal rights of a loved one who has suffered from nursing home falls. You can schedule an initial consultation with a nursing home lawyer to understand the compensation that may be available for a loved one who has suffered in falls in nursing home facilities. 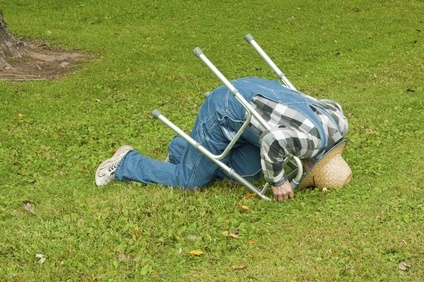 Nursing home staff frequently fails to perform the required assessments to protect vulnerable adults from fall-related injuries. Nursing homes must fill out a fall-risk assessment, but these assessments often go missing, are incomplete or not filled out with enough care. 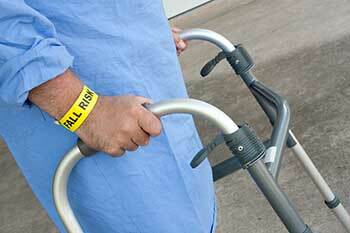 Residents may need special medical equipment or beds to prevent falls in a nursing home. Residents with physical or mental disabilities are especially susceptible to falls in nursing homes. 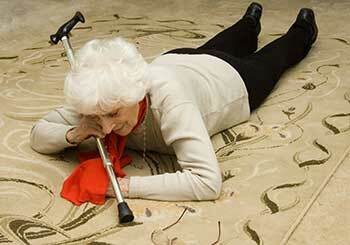 Nursing home falls occur when there is failure to maintain clean and safe premises for residents. Residents may have access to broken or damaged wheelchairs, or there may be spilled liquid on floors. There may be a lack of specialized bathing equipment available for residents, and this also increases the likelihood that nursing home falls will result. Improperly trained staff may drop a resident during the transfer in and out of a nursing home bed. Even more disturbing is when nursing home falls are the result of other forms of abuse, such as the use of chemical restraints. Unnecessary medications may cause a resident to become drowsy and unable to walk properly in hallways. Residents under the influence of chemical restraints are at a great risk to suffer from fall-related injuries. 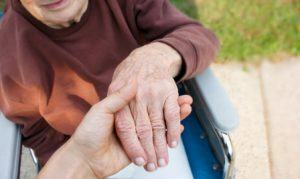 Nursing homes are required to provide consistent supervision of patients who may be at risk for suffering from falls. Under-staffing frequently accounts for a lack of consistent supervision of patients. Staff members may also be fatigued if they are forced to work long shifts, and this may result in improper supervision of residents at risk for falls. In addition, those residents who have suffered from falls are required to have additional supervision. Close observation is required to ensure that residents who have been involved in falls do not suffer internal wounds or bleeding. In some of the worst instances, this close observation is not provided and leads to the death of residents. A resident may die from intracranial hemorrhages that develop after nursing home falls. 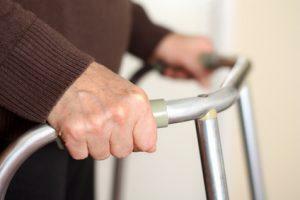 The Centers for Disease Control and Prevention report that over 1,800 nursing home residents die from falls every year. About 10 to 20 percent of all falls result in serious injuries of nursing home residents. One significant aspect of this problem is that the majority of falls go unreported, so family members may never learn about a fall. If family members see outward bruises or other injuries, then this may indicate that a nursing home resident has been involved in an unreported fall. The CDC also reports that nursing home residents are often involved in multiple falls in a given year. The average resident is involved in at least two to three multiple falls every year. 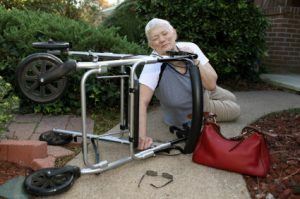 The nursing home injury attorneys at Rosenfeld Injury Lawyers can help you move forward in handling a case that involves fall-related injuries of your loved one. It can be frustrating to realize that nursing homes frequently fail to meet reporting requirements for these types of accidents, but our team of seasoned nursing home lawyers are prepared to investigate such cases and ensure that justice is served in your case. Don’t let the nursing home pass off your loved ones fall as an inevitable event! The majority of nursing home falls are due to the negligent assistance of staff or the failure to keep an environment safe and free from clutter and potentially dangerous conditions. Falling just one time can take away independence or even the life of an elderly loved one, which requires them to move into a nursing facility that provides extensive care. Unfortunately, falling is an all too common occurrence for seniors living at home and in assisted-living centers and nursing facilities nationwide. Suffering a fall is often the result of changes in the elder’s muscles, bones and joints as a common occurrence in the aging process. Many times elderly citizens lose their coordination, density and bone mass as they grow older. Studies indicate that the elderly suffering muscle loss have a higher potential of falling in fracturing bones due to “sarcopenia” – the loss of muscle mass caused by the aging process. The gradual loss of muscle mass over time tends to affect individuals as early as 30 years old. Physically inactive individuals who are 40 years or older tend to lose upwards of five percent of their muscle mass each decade. Even physically active individuals experience some muscle loss as a natural process of aging. Sarcopenia tends to rapidly accelerate when the individual reaches 75 years old although extensive muscle loss can occur as early as 65 years old or younger. 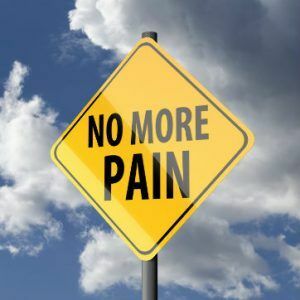 For years, chronic pain following a traumatic event was misattributed to the individuals imagination. Over the last decade, scidentists have made strides in researching the source of this phenomonon and now categorize chronic pain following a traumatic event to be related to Reflex Sympathetic Dystrophy (RSD) or similarly termed Complex Regional Pain Syndrome (CRPS). It is now believed that RSD and CRPS are nerve disorders that are triggered by high or low impact trauma. The trauma results in physiological changes to the skin, tissue and bone in the area where the trauma occurred. A single fall that a younger, healthier person might brush off could turn into a long-term hospital stay for elderly nursing home patients. If we consider that every 100+ bed nursing home reports between 100 to 200 falls (with many additional falls going unreported) and that between 50 and 75 percent of nursing home residents experience one fall every year, it is obvious that nursing homes need to do everything possible to avoid/reduce these dangerous, possibly even deadly accidents. When people talk about elderly patients falling, they often assume that these falls are because of environmental hazards or obstructions. However, these types of falls only account for 16 to 27 percent of nursing home falls. Nursing homes were considered a safe haven for the elderly and people did not hesitate in sending their loved ones to nursing homes in the past. However, the scenario has changed to a great extent. What was once a safe and secure haven has now become a dangerous place. Nursing homes have been severely criticized for their patient care and services, especially for the way the staff handles patients after they experience a serious fall. The nurses and other staff members fail to take notice of the patients if they fall from a height and do not report the incident on time to the doctors. This often results in the death of the patient and the authorities of the nursing home are left with nothing to say. Cases of patients falling in nursing homes are escalating at an increasing speed every year. Around 1800 elderly patients inhabiting different nursing homes die every year due to grave injuries that result from falling on the floor. Around 10%-20% of all the falls result in stern injuries; these injuries include fractures in the leg, hip and serious brain injuries that often lead to brain disorders. Fractures account for about 2%-6% of the total injuries that are reported. Falls among the elderly contribute to roughly 1,800 deaths each year and statistics are showing that the problem is greater in nursing homes than anywhere else. Only 5% of the population above the age of 65 lives in nursing homes, but falls in nursing homes account for 20% of the falls that occur nationwide, regardless of location. Many of the falls that happen in nursing home happen as a result of increased frailty among the members that live under assisted care. These falls can be easily prevented, however, by evaluating the contributing factors to falls in the elderly and adjusting the care given to patients in nursing homes accordingly. There were over 16,000 nursing homes in the U.S. by the year 2004, according to the Centers for Disease Control and Prevention, with 1.7 million beds, of which 86 percent had been occupied. An elderly lives in a nursing home for an average of 2.5 years before eventually dying or leaving the home due to lack of funds given by the family. The employees abuse thousands of these nursing home residents or patients every year. Most of these incidents are rarely ever reported. Since 66 percent of all nursing homes in America are for profit, the owners avoid reporting any incident that might give them a bad reputation. 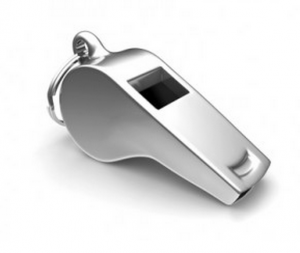 However, there is a rising number of whistleblower lawsuits being reported around America. Many employees of abusive nursing homes are coming forward with reports of the incidents, to the State Health Department. As we get older, falls become a larger concern. Not only are we more likely to fall due to medical conditions and health concerns, we also heal slower than you did when you were younger. Nursing home patients can help themselves by learning ways to prevent falls. There are five steps they can take that will help reduce the risk of falls. Stay fit. The more we move, the better chance we have to keep muscle tone, strength and agility. If patients have access to exercise classes, try to get them join in. Even daily slow walks are better than no exercise at all. If they need a walker or cane to keep their balance, make sure they use them on their walks. First and foremost they need to stay safe and ask for assistance if necessary. Talk to their doctor. Make sure they know what side effects their medications have. Many can make them dizzy or have a sedative affect. Also, they need to have their doctor check their eyesight and hearing. When changes to either occur, they can cause balance issues. Of all the different types of injuries that nursing home patients may be susceptible to, falls remain one of the more difficult types of incidents to entirely prevent. By law, each patient in a nursing home needs to be assessed and re-assessed to determine what safeguards are appropriate to keep the patient safe. 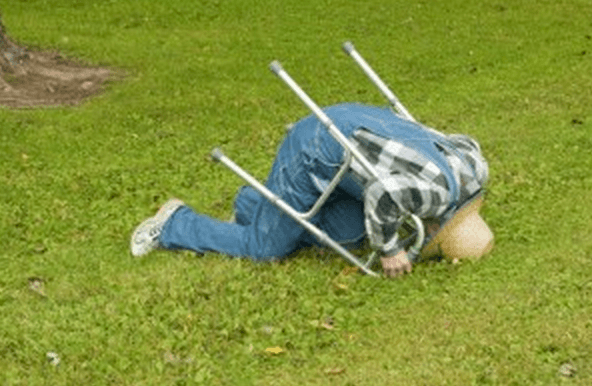 In the wake of a fall or when a patient’s condition changes, the fall risks are to be re-assessed. Particularly with more physically active patients, it can be difficult to control where and how patients get around. Depending on the patient needs, weighing the amount of oversight necessary to protect a patient from injuring himself needs to be evaluated in conjunction with not restricting the patient’s inalienable freedom is an important consideration for facilities to address. One the other hand, preventing falls in disabled patients inherently requires more direct staff involvement as patients commonly have little or no control over their limbs– thereby making fall prevention on the patients end difficult or impossible. Coumadin is the brand name of a drug called warfarin, an anticoagulant that is commonly used to prevent blood clots. It is used for various heart conditions and circulatory problems, including heart attack patients, prosthetic heart valves, treat or prevent venous thrombosis (swelling and blood clot in a vein) and pulmonary embolism. Although effective in many of these uses, it can also be deadly if not monitored.